The Pharmaceuticals & Healthcare sector in the Philippines is in a phase of accelerating growth as strong economic performance in the country has been making healthcare more accessible to Filipinos. Additionally, the Philippines government has committed itself towards bringing universal healthcare to the population of the Philippines, and this commitment has spurred additional investments in the Pharmaceuticals & Healthcare sector. Nevertheless, growth in this sector has been impeded by the lack of available skilled professionals. This is due to the low wages experienced by many medical professionals in the Philippines which has, for example, contributed to making the Philippines one of the largest exporters of qualified nurses in the world. 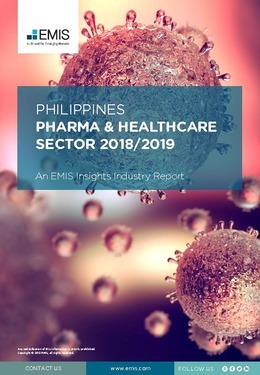 This report provides a complete and detailed analysis of the healthcare and pharmaceutical sector for the Philippines . EMIS Insights presents in-depth business intelligence in a standard format across countries and regions, providing a balanced mix between analysis and data.